1) Boil the pork lungs, liver and heart into 1 cup of water and ½ cup of vinegar for 15 minutes. 2) Remove and chop into small pieces. 3) Dissolve the atsuete powder into ½ cup of water and set aside. 4) Saute garlic and onions. Add the chopped lungs, liver, heart and fish sauce. Saute for 10 minutes. 5) Add the dissolved atsuete in water. Season with salt, vinegar and pepper (if necessary/desired). Simmer for few minutes. 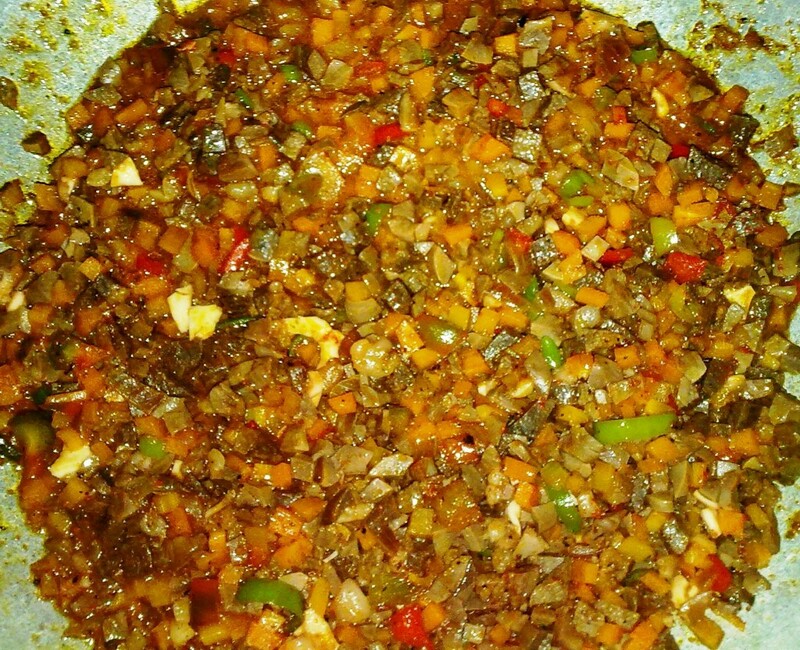 6) Add siling labuyo, carrots and bell pepper. Simmer for about 5 minutes. Serve with steamed rice. One of my favorite Filipino dishes.